The thing about dogs is that they’re often just like kids. Sometimes it’s their most endearing characteristics that are the most irritating. Take, for instance, Toffee, our apricot toy poodle (she’s called Toffee because she’s toffee-coloured, unlike her older and slightly bigger black companion, called Luci, who is of course Luci-coloured). One of Toffee’s favourite pastimes is to have us throw one of her soft toys across the room so she can scamper over to it, skidding and sliding on the floor, to retrieve it and bring it back to us. She then sits on the sofa next to us with the toy at her feet. I mean paws. She waits for a while. Then she starts to whimper discreetly. Then the whimper becomes a lot less discreet. Finally, she starts to bark. And, if none of that works, she gets up on her rear paws and scratches my shoulder with her fore-claws. That’s fore-claws, not four claws. There are actually eight of them. But what I actually do is throw the toy again. You see the mistake? By throwing her toy I’m doing exactly what she wanted. I’m rewarding the very behaviour that annoyed me so much. So, naturally, she’ll do it again. To buy myself a few seconds of peace – and it really is a few seconds, because it doesn’t take her long to return with the toy – I’m condeming myself to hours more of the same exasperation. Well, kids are often just like that. Though the reason they’re like that is that all humans, adult or child, are like that. Reward a form of behaviour and you encourage its continuation. Take, for instance, three generations of a family of hereditary Korean autocrats. I suppose the fun to be got from generally oppressing, frequently imprisoning and occasionally torturing your unfortunate subjects doesn’t last too long. So you long for something else. Namely, recognition. You want a seat at the big boys’ table. Imagine how wonderful it must be for such a man to have a US President, no less, invite him to sit down with him at a conference table. As equals. With the same number of flags for each of them. With great imposing motorcades to get to the venue and back from it. And, on top of all that, to have that same US President saying nice things about him, even declaring what a tough job he has, keeping his people starving and downtrodden, and how well he’s doing it. And all he has to do to get all that is develop a missile and a nuclear warhead that can hit the United States. To get all that applause and smiling recognition. All the delightful baubles that eluded both his daddy and his granddaddy. Wow! 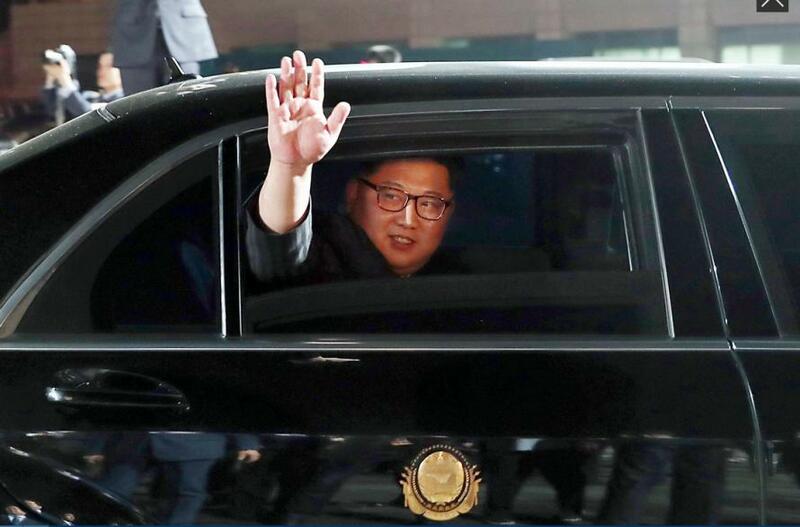 A Kim like a big boy! A proper politician! Now, here’s the question: will he, as a result of all this fuss, decide to do away with his nuclear arsenal? Or will he, Toffee-like, just keep right on going, perhaps doing away with a few little bits but keeping enough to make sure that he keeps being glad-handed by the US President? I leave you to answer that for yourselves. All this might naturally change when there’s a new president with working neurons. But for now, with his own personal Trump to play with, I can’t see what could possibly stop Kim Jong-un carrying on with the fun. Just like Toffee keeps on wrapping me around her little finger. Or claw, at least.